Silhouette adhesive cardstock makes it easier than ever to cut words and shapes in intricate detail without worrying about adhesive. 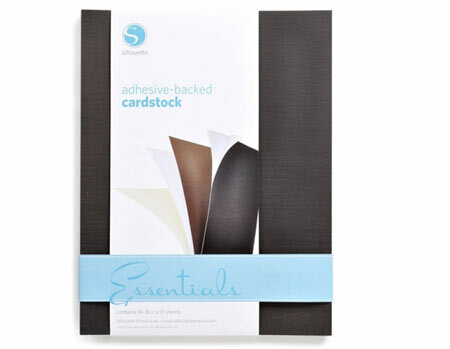 You can even cut adhesive cardstock without a cutting mat for an easier and quicker project. Contains four sheets of the four basic colors shown on the packaging (16 total sheets).